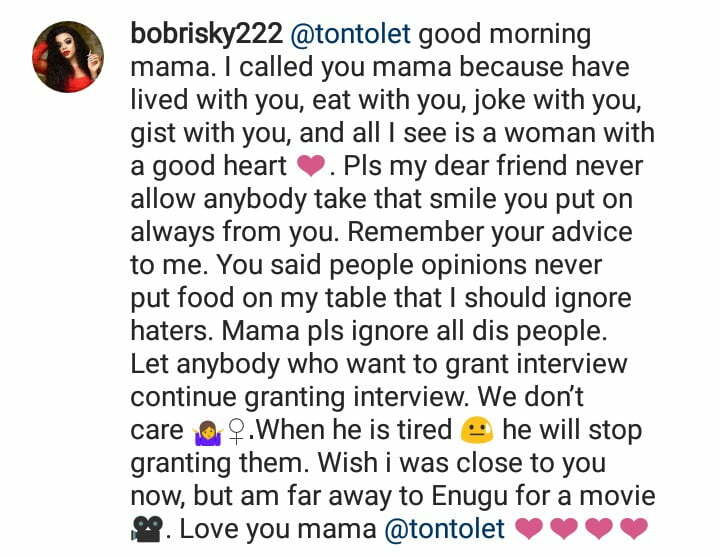 Nigerian crossdresser, Bobrisky, has reached out to his friend, Tonto Dikeh following her drama with her ex-husband, Olakunle Churchill, since last night. Naija News recalls that the mother of one has since last year, lost her Husband, Church hill in a Divorce. 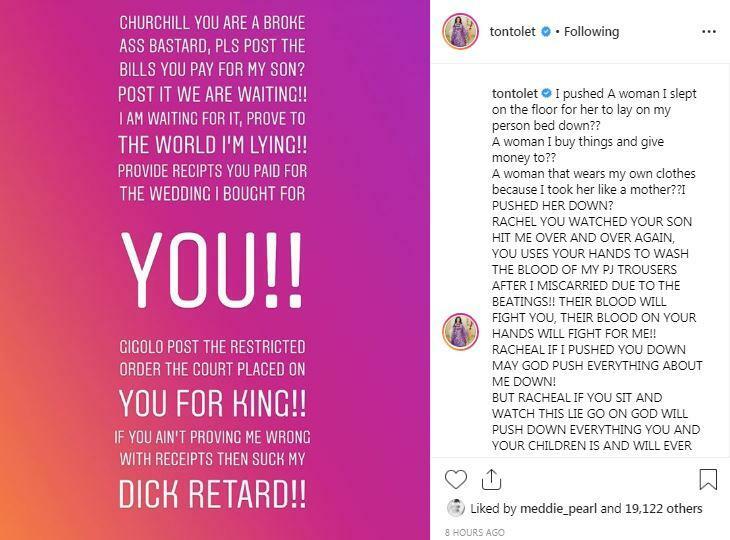 Tonto, however, started a drama yesterday when she asked her ex-husband to post receipts of the bills he has been paying to support his son. Controversial personality Bobrisky who since been on the sides of Tonto, once more took to her instagram page to react in support of Tonto’s blast.